It’s the return of color! 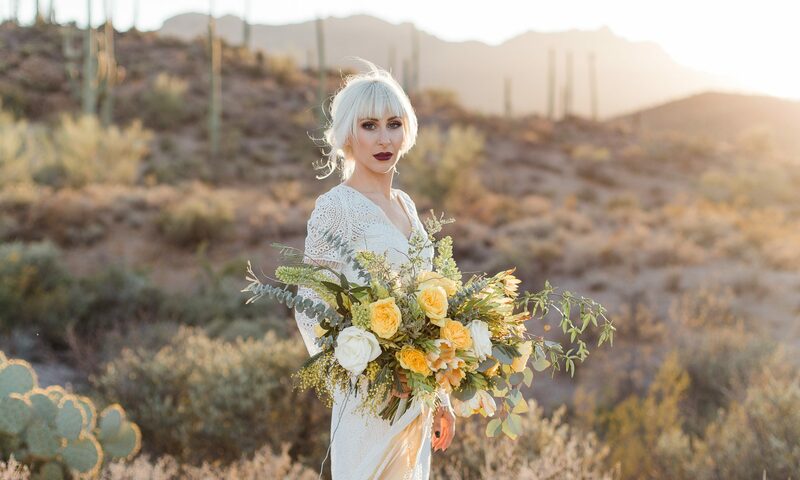 While blush and white may be the traditional, classic colors for wedding flowers, and will never really go out of style, I have been excited to see more and more color show up on the wedding flower scene. Personally, I have always loved color. As a kid, I felt pressured to have a favorite color, but never really settled on one. I liked red, and then purple, for a long time (hello purple bedroom walls! ), but I always found myself saying “but, I like THAT color, too!” Eventually, I just started saying “I like all the colors.” Because it really is true. As a generalization, I think people tend to fear color a little – we don’t want too much in our house, or on our clothes, for fear it won’t match or will be too bold or will go out of fashion. As I grew up I noticed that I started to “play it safe” with color, too… but now I’ve swung the other way. Bring on all the colors. Bust out the fear of being too bold or clashing or going out of style. To me, color represents LIFE. Joy. There are as many different colors and tones and combinations as there are people, I think. Even in the hot desert landscape of Tucson, Arizona there is color, texture, and variety to be found. Perhaps, oddly enough, it was the desert that really taught me how to see the color around me. So, I thought I’d start sharing some of my favorite colors, and favorite flower varieties. Nothing fancy, just me, some colorful blooms, and my faithful garage-door-photo backdrop. There will be a post about yellow, orange, and berry tones, just to start. God didn’t create a black and white world. He made color and gave us eyes to see it. Let’s soak it in together. As long as I have known Carolyn, she has loved pink! She chose dark and light pink roses, and I added dusty miller and eucalyptus for a modern touch. The silver foliage of the dusty miller also tied in nicely with the pink and gray color palate of the wedding. Not the most glamorous camera phone shots of myself, but, details are very important to me! On the day of the wedding, I personally make sure that every bloom is where it should be and is looking lovely. Going the extra mile to take care of little details, like making sure the water levels are correct, prevents putting unnecessary stress on the bride. Hand lettered details by Rebekah Seiler. Hand lettered details by my sister, Rebekah Seiler. This shot is from my iPhone… please forgive! I am just in love with the personal tags that Rebekah made for each one. I may be a teensy bit biased towards Carolyn’s wedding, because I also had dark and light pink flowers, and the same comfy slippers when I got married! Carolyn asked me to included these details in memory of her Grandfather – his pin from the Navy and dog tags. It was a beautiful way to honor him. Flowers for Carolyn’s and George’s mothers. I prefer to keep these pieces on the neutral side so that they match the mother’s attire. These girls were super fun! Bridesmaid dresses from Henkaa through Style with Kari. This is the exact same dress, just wrapped different ways! I adore how the pink flowers popped against neutrals of the November landscape, venue, and bridal party attire. The ceremony space itself did not need a lot of dressing up, so we opted for a small alter piece next to the unity candle. The venue provided equipment for hanging flowers on the aisle, and we scattered a few more small centerpieces throughout the venue to continue the color scheme. Carolyn you are a dream! You two were the most adorable and happy couple I have ever seen! Ladies and gentleman, Carolyn and George had FUN on their wedding day! For the toss bouquet, I like to keep it simple and light – you don’t want to knock one of your guests unconscious with a heavy bunch of flowers! For Carolyn’s I used lots of soft greens and ferns, then added some roses for color. And of course, ribbons. Another iPhone shot, but I wanted to show this fun (and yummy) candy bar! Rebekah did the chalkboard lettering. Did I mention that this was a FUN wedding? No flowers in this shot, but I couldn’t not share it. Balloons and glowsticks?! Genius! It was the perfect way to end such a fun and heartwarming day.